1) Enter your SqwishHome, and click on the small armchair icon in the bottom left corner. 2) A menu will pop up allowing you to add, edit, or remove furniture. Click the box icon at the top of the list to add furniture. 3) A larger window will open, showing all the furniture you currently have. Select which one you’d like to add! 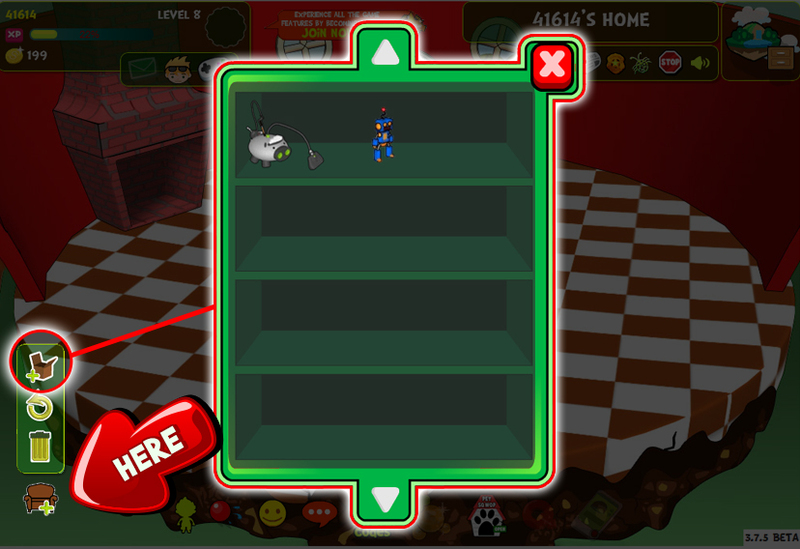 Finally, you can drag and drop the newly added furniture to its desired location in your room. You can also use the ‘Rotate’ or ‘Delete’ options to change things up a bit – try it out!